“[O]n a whim, I reached into my backpack, pulled out a notebook and pen, and began writing something. Word gets out about Antsy’s “Time Contract” and soon, everyone at school wants to donate time to Gunnar, even the principal! Proclaimed the “Master of Time,” Antsy struggles to keep his idea from spiraling out of control. On top of that, Antsy finds himself dating “a Swedish goddess,” and appearing on the front page of the newspaper, pouring a pitcher of water over the head of…well, you’ll find out! 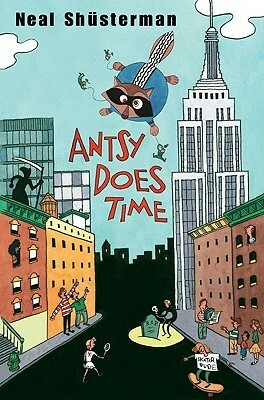 Read Antsy Does Time, by Neal Shusterman, the sequel to the award-winning book The Schwa Was Here.